LOS ANGELES, Calif. /California Newswire/ — As announced today by Outbreak Presents and Live Nation, Mike Shinoda is set to headline the latest installment of the Monster Energy Outbreak Tour. Tickets go on sale starting Friday, August 10 at 10 a.m. local time at mikeshinoda.com and outbreakpresents.com, with special pre-sales starting Tuesday, August 7 at 10 a.m. local time. The full itinerary can be found below. Shinoda’s North American tour follows a string of headline shows and festival appearances across Asia and Europe, including Reading & Leeds (UK), Summer Sonic (Japan), and Rock en Seine (France). Citi(R) is the official pre-sale credit card of the Monster Energy Outbreak Presents: Mike Shinoda North America tour. As such, Citi(R) cardmembers will have access to purchase pre-sale tickets beginning Tuesday, August 7, 2018 at 12 noon local time until Thursday, August 9 at 10 p.m. local time through Citi’s Private Pass(R) program. For complete pre-sale details visit https://www.citiprivatepass.com/. In June, Shinoda released his raw and inspiring solo album, “Post Traumatic.” The album received widespread critical acclaim and garnered a slew of positive reviews and profiles in The New York Times, Rolling Stone, Complex, Time, Pitchfork, Forbes, GQ, People, Newsweek, Entertainment Weekly, LA Times, Spin, Noisey, Genius, and more. The album features genre-melding singles “Crossing a Line” and “Make It Up As I Go feat. K.Flay” along with a host of eclectic cameos from Blackbear, Machine Gun Kelly, Chino Moreno, and grandson. Experience Mike Shinoda’s riveting performance of “Crossing a Line” with The Roots on The Tonight Show Starring Jimmy Fallon. The Monster Energy Outbreak Tour marks the first time Shinoda steps out on a full-scale North American solo tour. Mike Shinoda is a songwriter, performer, record producer, film composer and visual artist. He is best known as co-lead vocalist for multi-platinum Grammy-Award winning rock band, Linkin Park, which has sold over 55 million albums worldwide and commanded a massive fan following, holding the title as the most-liked band on Facebook and amassing over 5.5 billion YouTube views. Shinoda is a founding member of the group, which achieved the best-selling debut of this century with their Diamond-certified album, “Hybrid Theory,” selling over 10 million copies in the US alone. Collectively, they sold out stadiums around the globe and earned a multitude of accolades including 2 Grammy Awards, 5 American Music Awards, 4 MTV VMA Awards, 10 MTV Europe Music Awards, 3 World Music Awards, and most recently, “Rock Album of the Year” at the 2018 iHeartRadio Music Awards for their seventh studio album, One More Light. In 2005, Shinoda launched his first solo project, Fort Minor, releasing The Rising Tied to critical acclaim, with the single “Where’d You Go,” which reached number 4 on the Billboard Hot 100 chart and accumulated nearly 10 million YouTube views to date. In the months since the passing of Linkin Park vocalist Chester Bennington, Shinoda has immersed himself in art as a way of processing his grief. 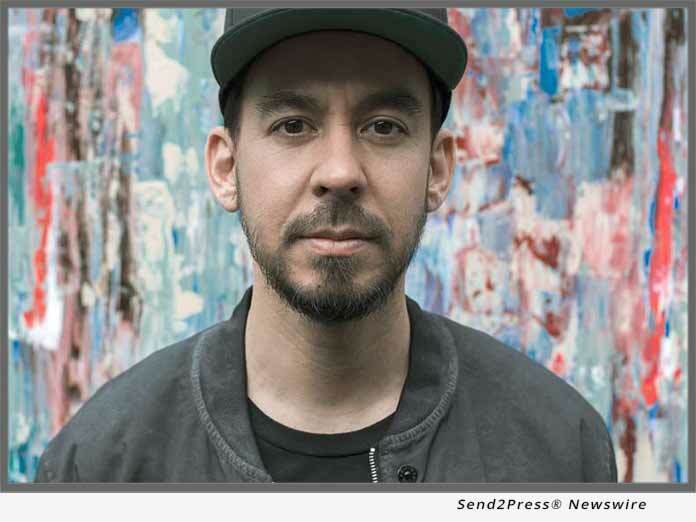 The result is his critically acclaimed full-length solo album, “Post Traumatic,” a transparent and intensely personal record that is accompanied by visuals that Shinoda filmed, painted and edited himself. The new album includes 16 tracks, including the three songs from the “Post Traumatic” EP, released earlier this year to an overwhelmingly positive response from The New York Times, NPR, Rolling Stone, Billboard and more. Launched in 2011, the Monster Energy Outbreak Tour is recognized as the ultimate influencer, pairing breakthrough talent with fan friendly ticket prices at premium venues, giving fans the opportunity to witness the stars of tomorrow, today. The Monster Energy Outbreak Tour is the largest national touring brand in the club & theater space, and currently consists of five annual music tours (Hip Hop, EDM, Rock, Country, College), one annual comedy tour, and the buzz-worthy Outbreak House at SXSW. Outbreak was created to provide a powerful platform for emerging talent to maximize their breakout moment. Notable alumni include Kendrick Lamar, Macklemore, The Chainsmokers, Carnage, Issues, Cole Swindell, and 21 Savage; to name a few. For more information about The Monster Energy Outbreak Tour visit: http://outbreakpresents.com/. Based in Corona, California, Monster Energy is the leading marketer and distributor of energy drinks and alternative beverages. Refusing to acknowledge the traditional, Monster Energy supports the scene and sport. Whether motocross, off-road, NASCAR, MMA, BMX, surf, snowboard, ski, skateboard, or the rock n’ roll lifestyle, Monster Energy is a brand that believes in authenticity and the core of what its sports, athletes and musicians represent. More than a drink, it’s the way of life lived by athletes, sports, bands, artists, believers and fans. See more about Monster Energy including all of its drinks at https://www.monsterenergy.com/ | https://www.facebook.com/MonsterEnergy/.